In 1998, if you were growing out of your boy racer faze and becoming a man that was still looking for driving excitement to go with his morning coffee, then your options were slim. Entry level luxury sedans were still in their infancy and BMW had utter dominance in the segment. The E36 M3 models were the enthusiast’s weapon of choice and they also offered luxury coupled with everyday drivability. Other manufacturers such as Audi began to use displacement as their weapon of choice and the horsepower wars began. It started with each manufacturer utilizing the specialties of their in house tuning shops more and more, but it has progressed to epic proportions today. 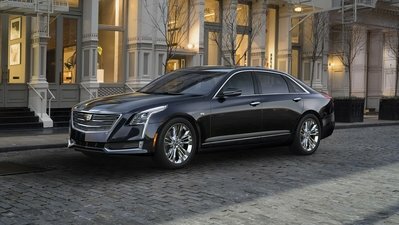 Consider that most of these small sedans have changed little in overall size and the “performance” models of the 1990s were powered by small and efficient engines pushing under or just above 300hp. 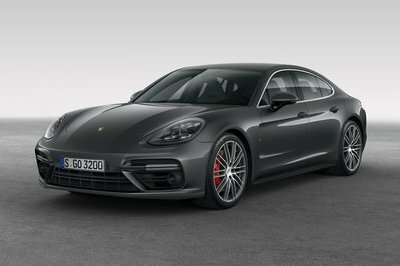 Today, 300hp in a sports sedan would be laughed right off the autobahn by cars pushing at least 400hp with V8s or twin turbo V6s. 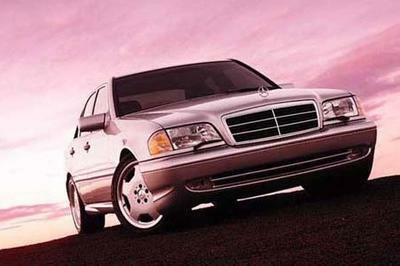 Nonetheless, this was the beginning and Mercedes was poised to take things to a new level. A new engine had been developed for use in theML, CLK, and S-class models as an entry-level V8. 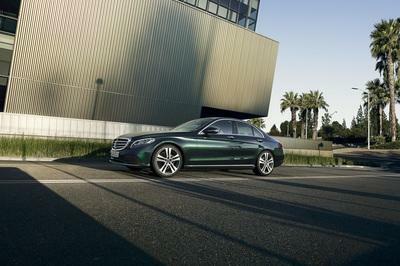 It was the 4.3-liter model that was coded 430 on the badges of the vehicles. Before it even made an appearance in those other models for standard duty, AMG was able to get their hands on it and make some major improvements. The beast that emerged would be forced into the C43 AMG in order to take on the other German brands. 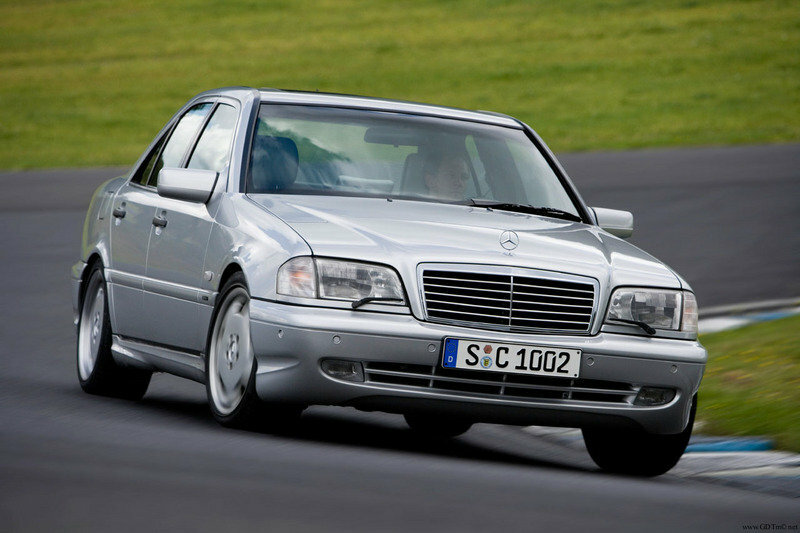 Hit the jump for more details on the 1998 Mercedes C43 AMG. At this point in time, AMG was not taking too many liberties with Mercedes’ original styling. For the exterior enhancements, AMG used a new set of side rocker panels that flowed into revised front and rear bumpers. The revised bodywork was hard to notice for the typical consumer, but AMG Monoblock wheels made a bigger statement than anything else. Even the exhaust system was understated and finished off in a dual chrome piece on the left side of the rear bumper. Things became a little more exciting on the interior where AMG would let you know that this car meant business. Opting for the two-tone interior is the best choice a prospective owner could have made. The seats would be adorned with white leather in the center and black leather on both sides. The multi-adjustable seats featured pneumatic bolsters on the seat bottom and dual lumbar support on the back. It was controlled with a set of switches situated next to the seat belt buckle. 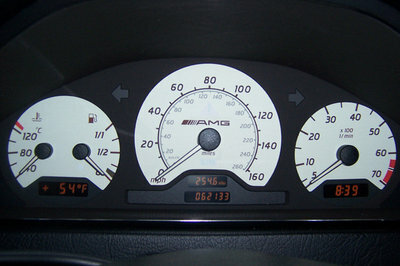 The two-tone theme was carried onto the steering wheel that was an appropriately thick model meant for serious driving. The C43 also included luxury appointments like automatic climate control, wood-grain dash, Bose stereo, power glass sunroof, and the Mercedes Rest system. 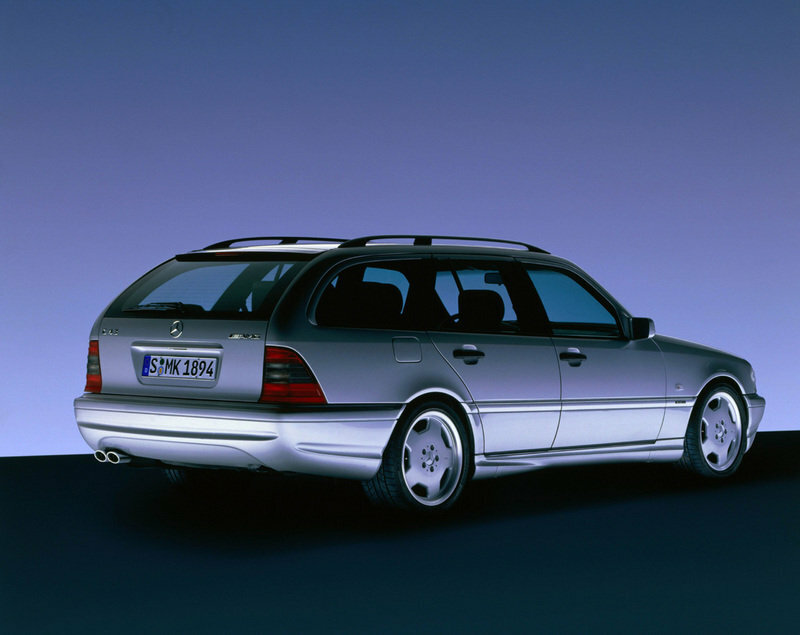 Rest was used on many late 1990s Mercedes models and essentially allowed the HVAC system of the car to continue running up to 30-minutes after the car was turned off. It was great for short trip and running errands allowing the car to stay warm inside by using excess engine heat. We were more than disappointed to find out that our 2000 ML 320 was the only model in the entire lineup that year to not have this feature. This car comes alive under the hood and the driver can immediately tell that most of the engineering behind it is performance oriented. Mercedes’ new 4.3-liter V8 received a host of improvements from the engineers at AMG and ended up producing 302hp at 5,850rpm and 302 lb-ft. of torque at 3,250rpm. The first thing AMG did was install an air cleaner system with increased flow somewhat like cold-air intake kits of today. They also made the intake manifold wider in conjunction with some of the longest intake tubes in the industry. By using intakes that spiral around the cylinder, pressure builds up and boosts the intake process. This is why the engine is able to produce such high torque numbers at 3,250rpm. In order to handle the increased power, Mercedes borrowed the transmission from the V12 models. The 5-speed automatic was able to adapt to a specific driver’s style and improve the driving experience therein. If you were an aggressive driver than the system would automatically shift later and allow the engine to rev higher. The idea was good in theory, but lacked precision in practice; as always with AMG models, people dreamed about a manual transmission. The C43 used a double-wishbone front suspension setup and five-link rear suspension that was essentially the same as the C280 sport. AMG used a different set of springs and a solid rear stabilizer, but otherwise the system remains unchanged. The underlying setup of the car was also used in DTM racing the same year and the suspension and chassis had been proven on the racetrack. All of this power and precision was reined in by a set of four-channel antilock disc brakes that were 13.2-inches in diameter and featured internal ventilation. Mercedes included a host of safety systems to keep the C43 in line and on the road. The Brake Assist system helped increase braking pressure when a panic stop was identified by the computer. Most drivers brake too little too late and this system was put in place to help the car provide sustained threshold braking instead of locking of the wheels. The new Mercedes ASR (Automatic Slip Reduction) system was also standard on the C43. When the computer realizes that a wheel is spinning or slipping, it applies the brakes to that wheel and can cut engine power until grip is re-established. As many Mercedes fans will know, there is a little yellow triangle light in the instrument cluster that tends to blink when you’re having too much fun. This is telling you that wheel slip has been detected and the system is engaged. The C43 features an off button for the ASR system, but the light will then turn on permanently to warn you that you’re on your own. The C43 was an exclusive automobile built by some of the most talented engineers in the business and only 1,500 units were brought to the United States at a sticker price of around $55,000. The closest competition to the Mercedes C43 AMG is, of course, the BMW M3. 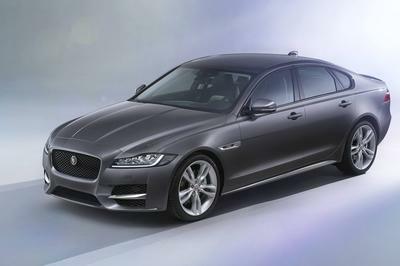 However, this time it is not as close of a comparison as BMW may have expected. With Mercedes unveiling a V8 version of its smallest sedan, the M3 had been eclipsed in terms of power. BMW was still using a smaller 6-cylinder engine that produced less horsepower and had to work harder to do so. The BMW could reach 0-60mph in 5.6 seconds, but now Mercedes could do it in nearly the same. Furthermore, the luxury appointments found in the Mercedes were entirely unmatched by BMW at this point. Yes, I do believe on what you have said. We could consider buying this car due to its low price tag. But when it comes to engine performance, its competitor would be a good option. And besides they have admit that BMW is much better compare to this one. Naah. Unless you are a great fan of Mercedes and want to own it, due to its affordable price, this is not a good option. 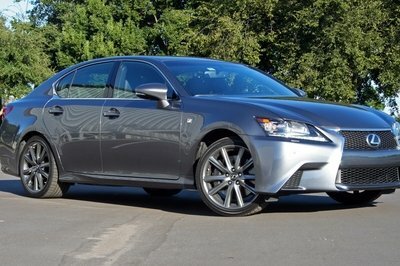 Neither looks nor performance are par with the latest developments. Ofcourse for a starter it may help in enjoying the ride from the best manufacturer for an affordable price.